Tucked in the Valencian foothills, over 400 kilometers from Madrid, the quiet city of Alcoy is home to creative director and designer Javier Moreno. His firm Bambú Studio creates products that are reduced to their most basic function—yet still maintaining character. 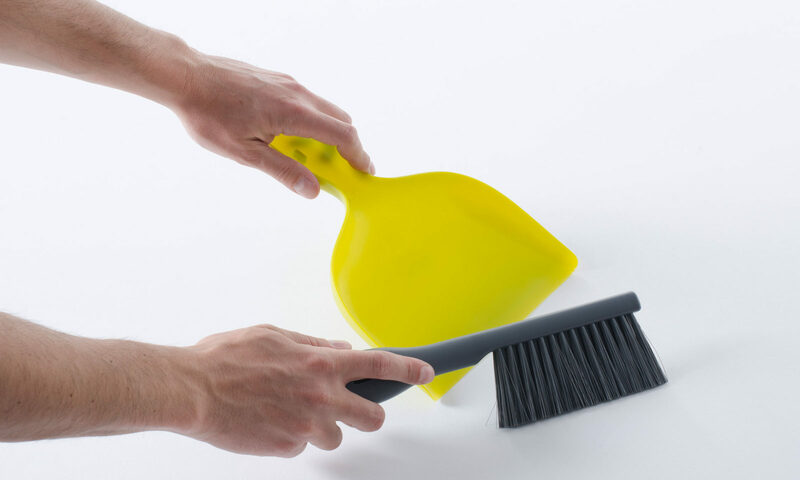 A small team of Javier, his wife and two other designers, Bambú are creating everyday objects like brooms and mirrors that are playful, elegant and useful. Javier opts for a hands-on approach to designing for clients, and though his studio may be off the beaten path, this doesn’t stop him from working with international brands, “We go to China and central Europe to see where the products are made—I like to help my clients, not just to make some quick designs and send them off.” Javier’s entire approach to design is decidedly idiosyncratic and his small team accomplishes big things as a result. Alcoy is also home to prehistoric rock paintings—primitive deer that line cave walls along one of the ridges that straddle the city. 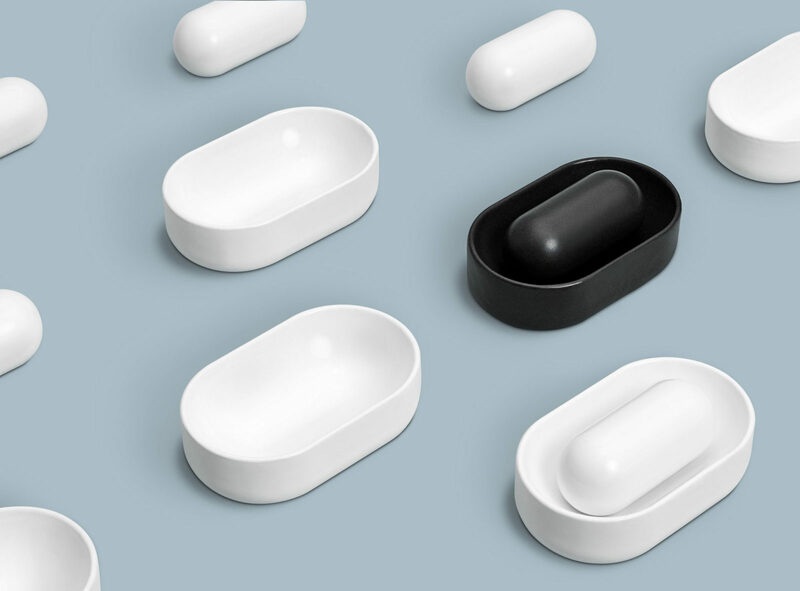 A perfect backdrop for the studio who designed a modern take on the mortar and pestle for OTHR, the forward thinking brand that utilizes 3D printing technology to revolutionize the way we buy consumer goods. This portrait was made in collaboration with OTHR, as we profile their international roster of talented designers. So, how did you get your start as a designer? I started designing in 2005, when I left school. I finished my design classes and I worked at a toy factory close to here called Famosa. I learned a lot about the design process there: injection molding, 3D modeling, product development. Are you happy working in Alcoy? There are lots of things that we can change in this city. We’ve got the possibilities to do that. If you want to move you can just take your car and go. There is a lot of nature around here—with the mountains and we’re close to Valencia. It’s the correct place to live! We’re a bit isolated from the world but for me it’s easy. It’s easy to live here and you can also take a plane whenever you want, to wherever you want. Designing toys must present some interesting problems. I still work for some toy companies—you think it’s fun when you begin a project for a toy company but it’s more related to traditional design. You have to think about how a child wants to imagine the thing that you are creating. In the past I’ve created pieces for tabletop games and action figures, but now we are focusing more on household products and furniture. We don’t have enough energy or enough hands to handle all this work! We like to enjoy the work and be very involved. We can’t do everything at the same time! What inspires your designs? Do you take inspiration from the nature surrounding Alcoy? I don’t try to find inspiration, I prefer to be influenced in a passive way. Nature inspires me, but trash cans on the street also inspire me, or the way that someone peels a banana. Somehow, when you see someone using something, you can think about different ways of making things and that’s my mode of inspiration. It’s not like I’m an artist that sees a butterfly and thinks ‘Alright, I’m going to make something based on this!’ No, I think the brain works on its own. You collect images from your environment and when a client commissions a product, you put your experience into that project. 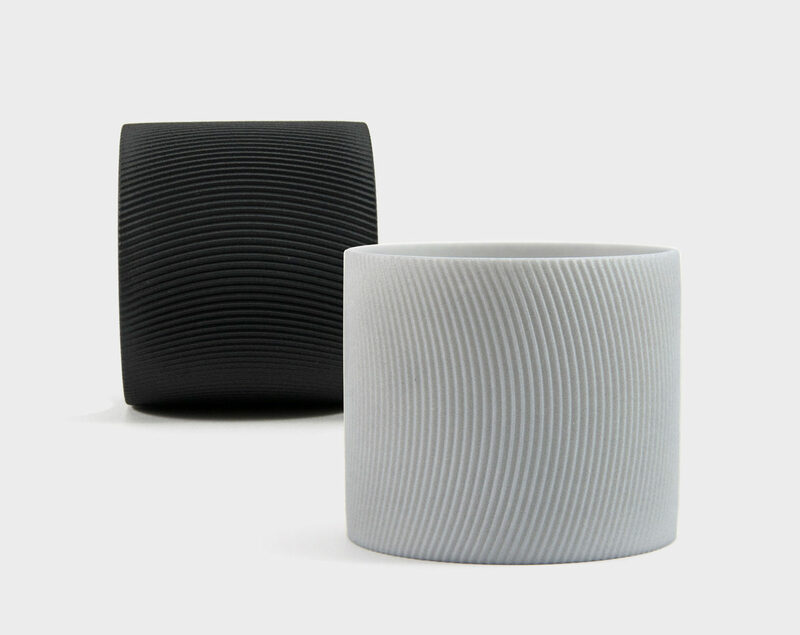 How do you utilize new technologies like 3D printing into your work? We often work with 3D-printed prototypes and pieces. It’s been a nice step forward for the industry. When I began working as a designer and needed something made, I sometimes needed to wait a year—you had to approve the design, look for the toolmaker, make the initial (really expensive) prototypes, and by the time the product was in your hands it wasn’t so exciting. It’s more exciting when you design something and the next day you have something in your hands. It’s almost like in sci-fi movies! Things are happening quick and it’s nice to see that. Design is now more about the smaller things—because there is not so much impact on the environment when you use the right materials in small quantities. You’ve got this machine [picks up iPhone], and inside this you have a computer, a telephone, a camera—but on your table and all around you, you have things. You need things to write on, you need coins, keys and that entire environment is a nice place to design into. 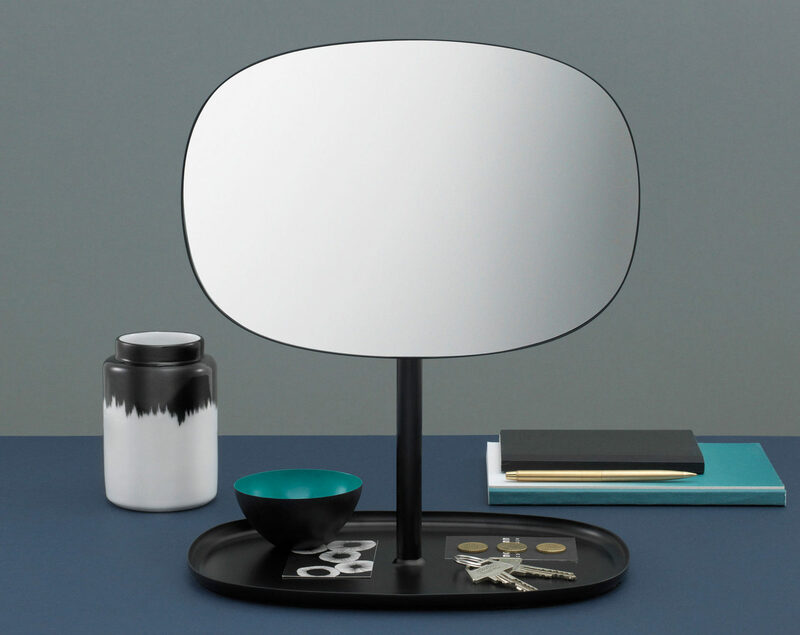 Flip Mirror designed for Normann Copenhagen. 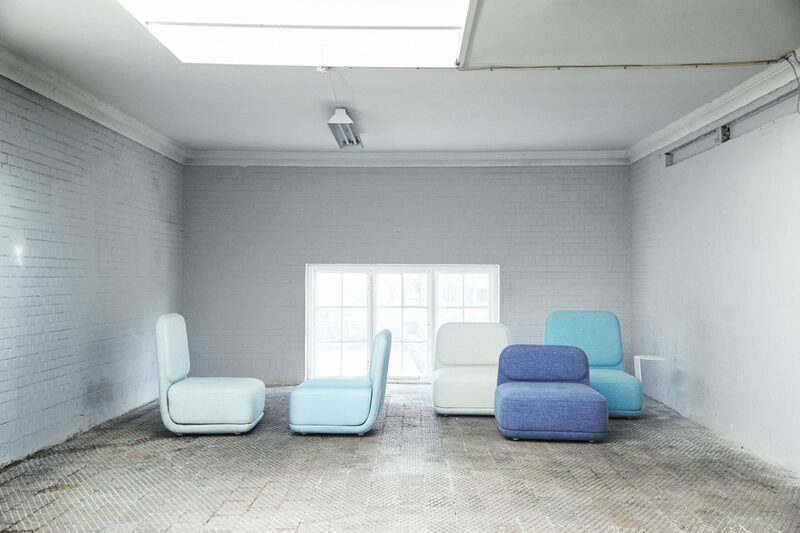 Stand by Sofa designed for Softline. Skin Bracelet designed for Stilnest. You work with many international brands, but do you incorporate Spanish style into your designs? I always try to include some Spanish heritage, but it’s quite difficult—I don’t want to put style on the things I design, I prefer to have a briefing and work from this. We don’t have to make everything square or cylindrical—we just like to make things. That’s why we’re designers. When you design, you have to solve problems. The limits are our limitations as professionals. How do you maintain good relationships with those international clients? You should carefully study your client. 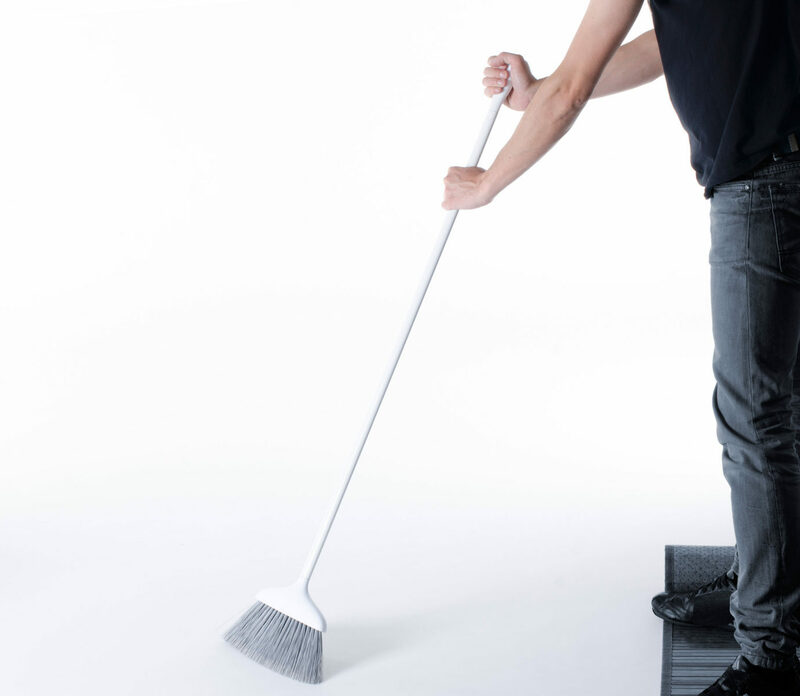 In most cases it is a short briefing—they’ll say, ‘well, we need a dustpan, this is our target client and our target price.’ You have to use your expertise in the manufacturing process to surprise the client. Then work to develop a close relationship with them. Another way we work is we have a design for, say, a table and send it to clients that may be interested in it. It’s a different kind of relationship—it’s more artistic, maybe you’ll have a sketch in your notebook and say ‘okay, I like this shape and this material’ and then you send a client that it may fit with. It’s difficult to match the desires of the clients but sometimes it happens. What product did you design for OTHR? We designed a mortar and pestle. I already had the idea in mind—I wanted to make something like this, a combination between simplicity and ‘Spanish-ity.’ In Spain we work with large mortar and pestles, used for making large quantities of spices or food. I took this concept and moved it to a more delicate world, relating just to the spices and calm kitchen. I want you to see this product and make time to use this to prepare your lunch or dinner, or use it to make a cocktail. A more delicate way of using something from the stone age by incorporating fluid curves and geometric shapes. It’s a cool way of mixing up these two concepts. It’s like making a stone axe with a 3D printer. Where do you imagine the mortar and pestle being used? The dream of many designers is to have a product that is everywhere—something democratic and useful for different people. I’d like to see this mortar and pestle in a super well designed kitchen and also in a normal kitchen. 95% of people are normal and there is only the 5% who live in the catalogs of companies. I wouldn’t like to design something that I couldn’t pay for. I know people who have designed sofas that they can’t afford! This is sad! I want to see my things being used, not just being shown. 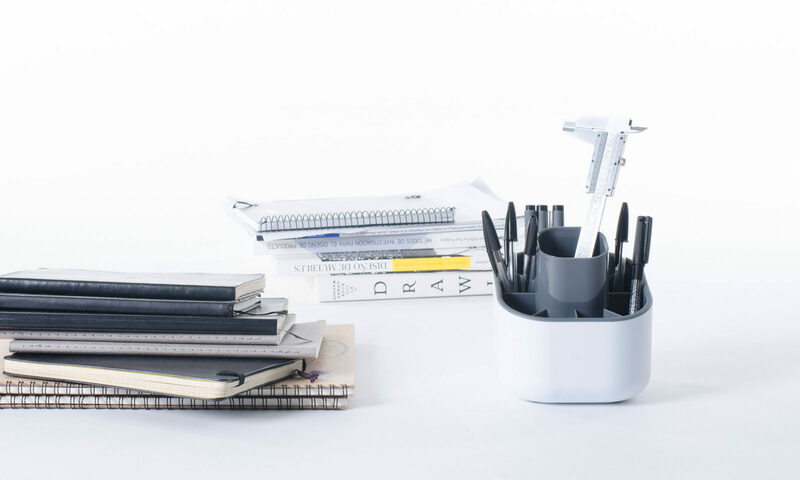 Three qualities you imbue in the objects you design? First off—and I’m sure this is going to match with any designer you speak with—is usefulness. Then beauty, making something pleasant to the eye. People don’t want to be surrounded by ugly things. And finally, cogent. If you’re making something for a funny person then make something funny. You should be accurate, with the final user in mind. Thank you, Javier for speaking with us and giving us your unique take on design. For more of his studio’s designs from the Spanish city of Alcoy, check out the Bambú Studio website. Check out the rest of our portraits with OTHR here and for more interviews with creatives in Spain, see our FvF portraits from the vibrant country here.